Stefano Bernardi is a founder and an investor, who also worked on a platform at Betable. He previously worked at dPixel, a seed stage venture capital firm giving the opportunity to entrepreneurs to build web businesses. He does some occasional angel investing and advises start-ups on product and strategy. His most recent project is SaveMyInbox, a service to automatically save users Gmail attachments to Dropbox. Stefano Bernardi is the founder and editor of theStartup.eu, a weblog that covers the European start-up scene focused on technology companies, web applications, social media, growth entrepreneurship, and venture capital. He also contributes to the development of TechCrunch Europe by covering the Italian start-up scene. He was the Italian Ambassador for The Sandbox Network and collaborates with Mind The Bridge foundation. He regularly speaks at events around Europe regarding entrepreneurship, start-ups, networking, and venture capital. He also featured in many publications including Wired Italy and “”Il Mondo””. 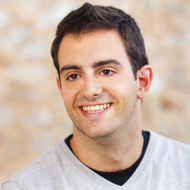 In 2009, Stefano Bernardi received a bachelor’s degree in computer and software engineering from Roma Tre University, and during the same year he founded Hosteeo, a company providing design solutions to start-ups, hosting services along with server management, and Roma3.net, an online student community for any Italian university. Stefano Bernardi was born in 1986, and he currently resides in San Francisco with his wife and son. <img src="http://eu.beta.techcrunch.com/wp-content/uploads/Schermata-2010-12-13-a-14.04.58.png" alt="" title="Schermata 2010-12-13 a 14.04.58" width="175" height="52" class="shot" /><a title="Hotelyo"
<img class="shot" title="mxm_brand_alpha" src="http://eu.beta.techcrunch.com/wp-content/uploads/mxm_brand_alpha.png" alt="" width="216" height="56" /><a title="MusiXmatch" href="http://www.musixmatch. Kohive launches premium services – is anyone using the free ones?